I went out to one of my favorite sites, Dennis Martin’s Combatives Community, and checked out what Den had to say about elbow strikes, since he lists elbows as a “classic strike”. He boldly states: “If I was limited to just one hand strike it would be the elbow.” As I have stated in previous posts, the elbow is a VERY close range weapon, not to be launched from far away—you don’t want to telegraph do you? Dennis uses it from different fence positions, especially the Jack Benny Stance, and he often targets the head and neck. I like the grab-to-strike, from Muay Thai, which he also utilizes. Grab the opponent’s head and feed it right into the elbow! In addition, he will use an arm drag to move into the strike. I love the versatility of the elbow and Dennis would agree—so many angles to work. One of the things I see students struggle with when they first begin training it is what to do with the hands on the horizontal and downward diagonals. I just fold my hand, while pointing my fingers toward the ground. It gets my hand out of the way and keeps the strike from being so awkward. Every other angle seems pretty straight-forward and it is fairly easy to get proficiency quickly. Train it in the air, train it on Thai pads, angled pads, focus mitts, and on BOB (though it is always a little more awkward on BOB because his head is so soft). Train using both elbows (left-right, right-left) in succession, and use it in combinations with other techniques. Learn its specific range, especially in comparison to punches—use it wisely! Martin, Dennis, et al. The Classic Strikes. 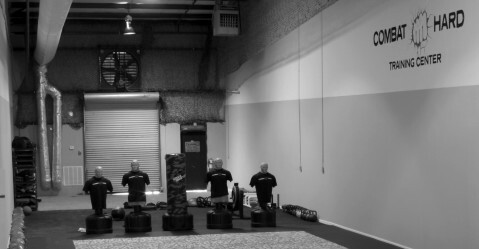 Dennis Martin’s Combatives Community. Retrieved June 2009, from http://combatives.forumotion.com/skills-f5/the-classic-strikes-20.htm?sid=cd6b2a67001b1d3d3951ea0d38f96a7f.